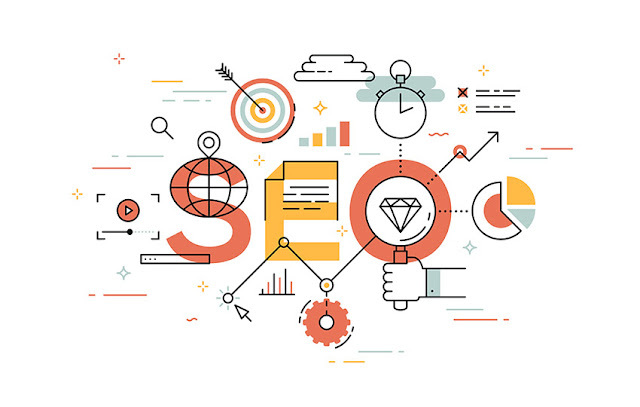 Whether you have a website already or have one in the works, your online business won’t achieve its full profit potential or perhaps not even survive these days without search engine optimization (SEO). So I’d like to share some SEO basics that anybody can implement and see real results, no major technical experience or expertise needed. Yes, you can do SEO yourself — no need to hire an expensive expert that cannot guarantee results anyway. The general idea is that the more SEO centered your site is, the more attention it gets from Google, and the higher it appears in the search engine rankings. This is important because when people search for keywords related to your business, they’ll see your website. And they’ll be more likely to click on the link that send them to your landing page, main website, and/or e-commerce drop shipping website. That’s free traffic from people primed to buy your products or services. They’re actively searching for this information, which makes them more likely to take action, whether it’s to sign up for your email list or actually buy a product. This traffic is much more powerful and valuable than paid advertising like pay-per-click or banner ads. Consider that, according to industry watch Conductor, 64 percent or more of the traffic to your website will come from SEO efforts, referred as “organic” traffic. Jupiter Research says its 81 percent. Also important to note is that people who come to your site as organic traffic that comes in through SEO efforts tend to have a higher lifetime value (they spend more money) than those that came in through paid advertising. And this is important. Consider that most people don’t go beyond the first page of the Google search.And less than 5 percent of searchers go on to the second page of results. According to a study from Advanced Web Ranking 67 percent of the clicks go to the first five results, with the #1 Spot taking in just over 30 percent of clicks. How do get Google’s attention and get all these benefits? Luckily there are some easy to do tasks you can do yourself to make your website Google-friendly. Follow these simple SEO basics and you’ll see improvement in your Google page rank. Something I want to clear up right here at the top. Google is very savvy. You can’t just pack a bunch of keywords on your webpages. Remember back in the early days of the web, when folks would simply include a long list of words related to their niche at the bottom of their home page? Doesn’t work these days, not by a long shot. First thing to realize is that you have to include your keywords naturally in your content. It can’t seem forced.You’ll include these keywords in the actual written material on your site. You should also have short, attention-grabbing headlines that include a keyword. Also, the keyword should be included at least once near the top of your webpage in the content and then sprinkled throughout the rest of the page, including variations. Content marketing can be a great strategy for your SEO, but it has to be done right. As far as SEO basics, this is called on-site optimization. Google’s focus is now on useful content, added consistently, that is relevant to what people are searching for, like blog posts, articles, videos. Before they recommend your website to their users, they want to make sure you have something to offer as far as advice, important information, and more to people interested in your niche. Important: don’t duplicate content, whether it’s from other pages on your website or from other websites you own. One thing to keep in mind is that while you are working on making your website Google-friendly, you can’t forget that real people will be reading your content too. And if they can’t understand what you’re saying — they won’t be back, which impacts your business and search ranking too. So make sure your content is people-friendly and Google-friendly too. All these strategies should help you build authority in your niche market and compel other sites to link to you — the more links to you — the better your SEO. Aside from quality content, your SEO efforts should also include work done in your “back office.” Internal linking, for example, is important. Basically your site should have plenty of useful content on related topics… and you should link among these different pages. This will keep visitors on your site longer, which shows Google your site is useful. And, crucially, this also allows Google to crawl all through your website. Your keyword should also be in your title tag, which is the very short — just one line — bit of text that appears as the highlighted blue clickable link on the Google results page. You should also take care to fill out the meta description for your webpages. This is a very short description of what’s on the page — it appears under the link in the search results and could help convince the reader to click to find out more. It should also have your keyword at least once. It’s not a big SEO influence but could increase clicks. If you have photos or images on your site (and you definitely should), don’t forget to include “alt text” that describes the content of that image. Google can’t “see” photos but it does read the alt text. And that increases the changes your images will appear in Google’s image search results. All of these things can help to positively affect your SEO rankings, but again, the most important factor will be you publishing good quality, original content, on a regular basis. We’ve talked about keywords being important. But you can’t just come up with them out of the blue. If you optimize for the wrong keywords, even if they are related to your niche, all your efforts will be for nothing. You need to figure out how exactly people are searching for information and tailor your keywords for your website to that… this should also influence the topics of blog posts and other content. It’s important to use a keyword planner tool to do some serious research of the right keywords to optimize for. 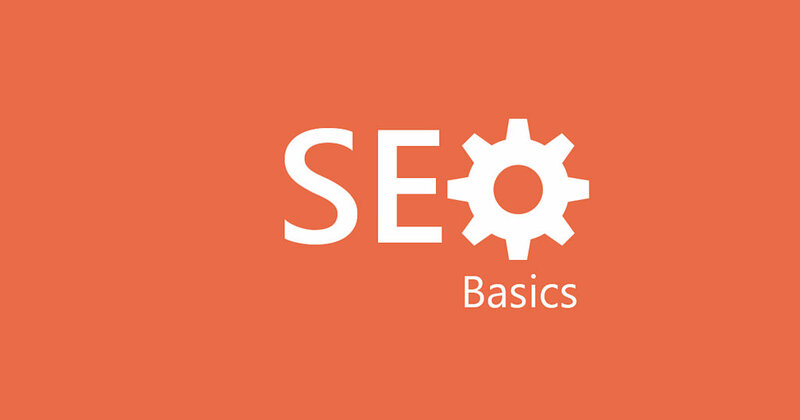 Of all the SEO basics, this is where you should start. As having the right keywords will guide all your other optimization efforts. Say your niche is yoga. The keyword “yoga beginners” results in just 1,000 to 10,000 searches per month in the U.S, but “yoga for beginners” has 10,000 to 100,000. Can you see what keyword you should be optimizing for? Another example. If you’re providing a treatment for back pain, the search term “lower back pain relief” has 10,000 to 100,000 searches per month, but “back pain treatment” only has 1,000 to 10,000. These two examples show how people search for information and products in each niche. And the keywords you pick for your SEO efforts should reflect that. Remember that this research should also guide the content your provide. Another thing to keep in mind is that making your website Google-friendly is not a one-time task. You must create and post useful content consistently. Google is always crawling through the web updating its results pages. Need some blogging ideas? See this article on 40 Great Blogging Ideas for Your Blog. But if you stick to these SEO basics shared in this article, you’ll have a solid foundation for an optimized site that makes Google happy — and your prospects and customers too. And with a website that comes in higher in the Google results page, you’ll have more of those website visitors too… which is good for business. And, by the way, you may have heard that Google is always tweaking the algorithm that determines page rank. “Tricks” to get high page rank now may not work a few months from now. That’s definitely true and for more intense SEO tasks you’ll have to stay on top of changes. But that’s nothing to worry about right now. Stick to the basics for now and you'll be utilizing SEO best practices that will pay off for years to come.